The Rhineland derby between Borussia Mönchengladbach and 1. FC Köln is one of the Bundesliga’s fiercest rivalries. 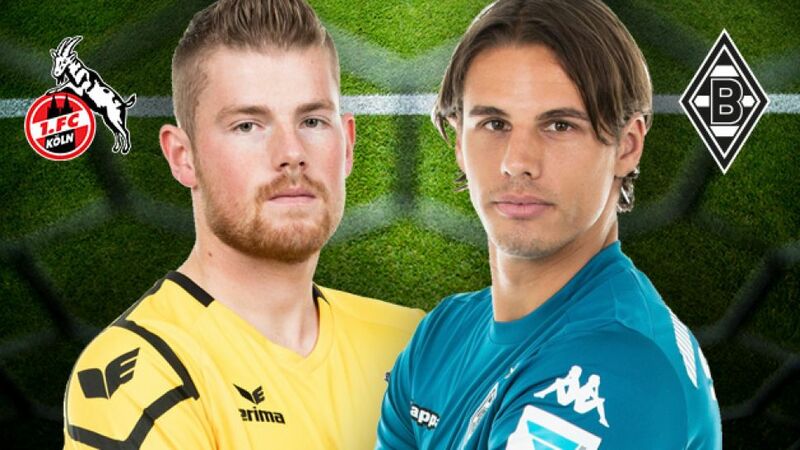 Ahead of the teams’ meeting this weekend, bundesliga.com spoke exclusively to Gladbach No1 Yann Sommer and his Köln counterpart Timo Horn in a double interview. bundesliga.com: On Saturday the Bundesliga’s third-best attack meets the fifth-best defence in the Rhineland derby. Do such statistics give an indication of what fans can expect from the game? bundesliga.com: Yann Sommer, what are the causes of Gladbach’s defensive difficulties? Sommer: We line up even more offensively that we did last season, but we can’t use that as an excuse. If you look at our game against Hamburg you have to admit that we gifted them their goals. HSV are a good team, but they were insecure after going without a win for six games. They definitely didn’t take us apart, quite the opposite in fact: we deserved to take the lead: Before their first goal we got a foot on the ball five times but just couldn’t get it under control. We need to reduce the amount of mistakes we make and play with greater focus again. Horn: Last season we kept even more clean sheets. We play a more attacking game now, so we’ve conceded a couple more goals. Nevertheless, usually we keep things very tight so that it’s hard for our opponents to score. Things are going well at the other end of the pitch too; we creating more chances, so it’s clear to see we’ve taken a step forward. bundesliga.com: The Rhineland derby is the game of the season for the fans of both clubs. How do the players see it? Horn: I was born in Köln so matches against Leverkusen, Düuseldorf and Mönchengladbach are always highlights. It’s always extra special against Gladbach because the fan culture is similar to scale to Köln. Gladbach against Köln, Köln against Gladbach, emotions are always intense in those games. The rivalry probably isn’t as big among the players as it is with the fans because some players know each other and are friendly. That’s the case with me and Julian Korb for example. We know each other from the time we spent in the Germany U-21s. Nevertheless, when the game kicks off we’re not friends for 90 minutes (grins). Sommer: When I moved to Mönchengladbach 18 months ago I already knew that Gladbach against Köln is a special occasion. And anyone who doesn’t know that learns it quickly in the weeks before the game. I felt just how strong the emotions are and how much winning it means the very first time I played Köln on Matchday 4 last season. bundesliga.com: Yann Sommer, what do you make of your opposite number, Timo Horn? Sommer: He’s still very young but is already consistently playing at a very high level. In the one and a half years I’ve been in the Bundesliga, I can’t remember him making a mistake – and he’s only 22. He deserves respect for that. I also really like his calm, businesslike approach. You get the impression that Timo would never lose his overview of what’s going on. In Germany there are a lot of young goalkeepers who have progressed a long way in their development. I’m happy to be able to test myself against such excellent colleagues. bundesliga.com: And Timo Horn, what are your thoughts on Yann Sommer? Horn: I have to admit that I normally look a bit closer at German goalkeepers, but of course you also see how foreign keepers develop too. Yann was a very good keeper in Basel and he made a name of himself on the international scene there. At Gladbach he had to replace Marc-Andre ter Stegen, a player who had come up through the ranks at the club and was a fan favourite. That’s no easy task, but Yann’s done it perfectly ever since he arrived. I respect that a great deal. He is without doubt a great keeper, but before the derby I’d do better to focus more on Gladbach’s attacker’s than on Yann (laughs).